It’s Crystal here again. I just wanted to check in and see if any of you happen to have any scraps laying around. Do you know what I mean? Those bits and pieces that we all seem to save, that build up and build up. Well, it is time to put them to use! Try this technique to start using up those scraps of beautiful paper we all can’t seem to toss away. Here it is – try using scraps to create your own pattern paper. Find a small die or paper punch (or even hand cut) and create a random pattern on a background. Take a look at this. I used a small die from Sizzix to create the flowers which I adhered in a random pattern to the card front. Pretty simple and oh so easy to do! Plus, my stash of scraps is just a little bit smaller now! One tip – to get this look I used an adhesive sheet from Scrapbook Adhesives by 3L on the back of pink paper before I die cut it. By applying the adhesive sheet to the paper before I cut, I am sure to get edge-to-edge coverage and don’t need to worry about applying adhesive to the teeny-tiny parts of the die cut. This is a pretty easy way to create some stunning patterned paper for cards or scrapbook pages that help to reduce that scrap pile just a tiny bit. 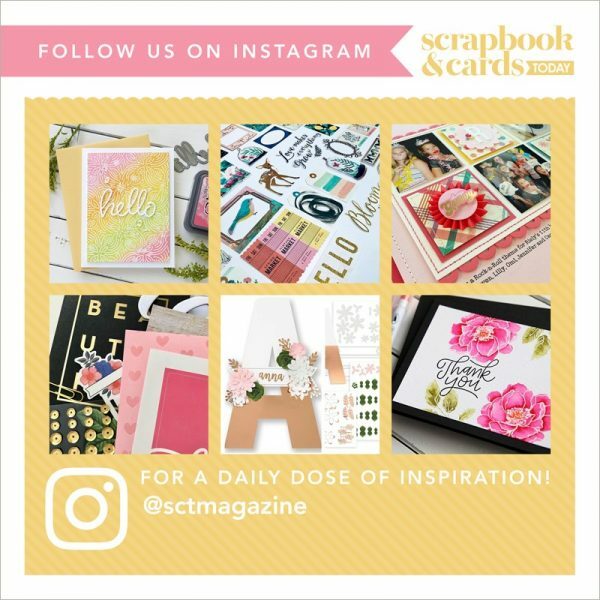 Let’s see what you can create with your scraps!